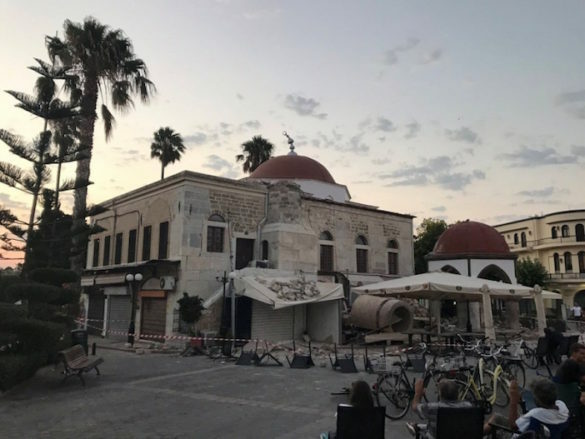 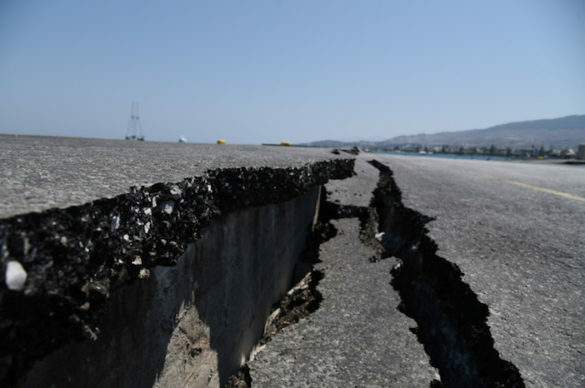 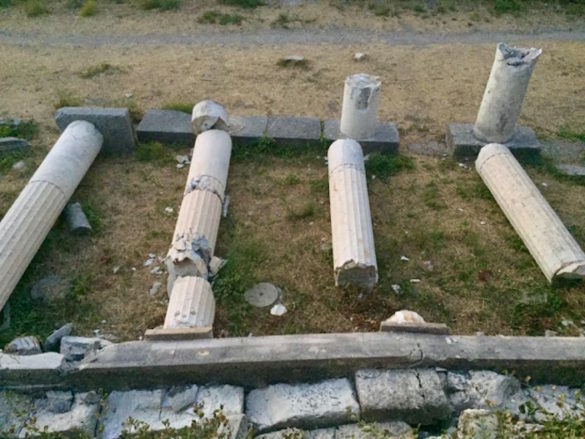 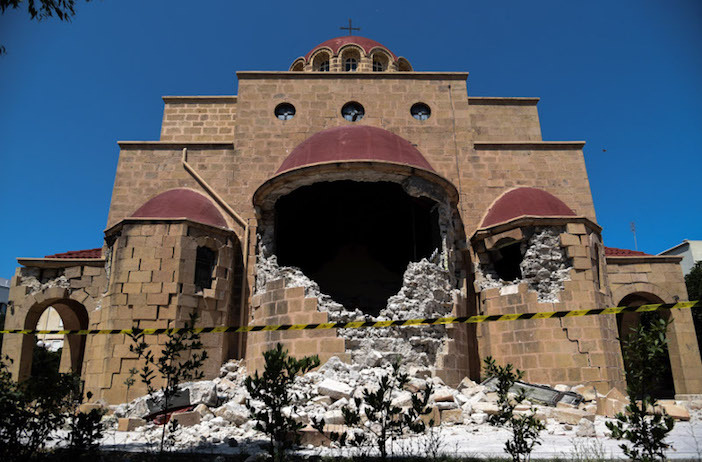 While residents begin to dig out from under an earthquake, officials have begun assessing the damage to the infrastructure and other important structures that suffered damage during the earthquake on the island of Kos. 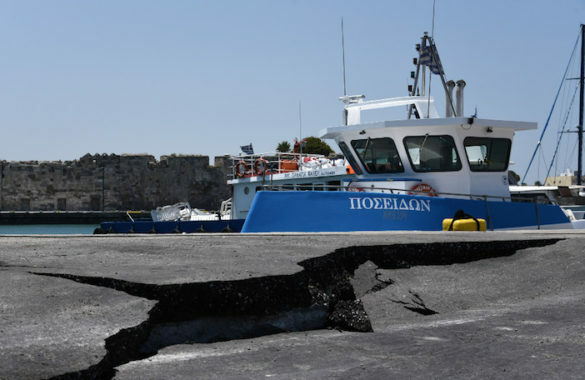 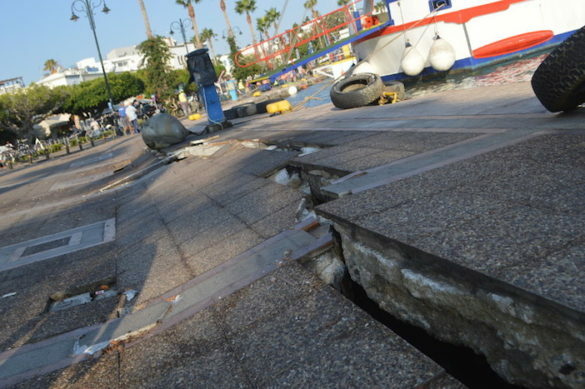 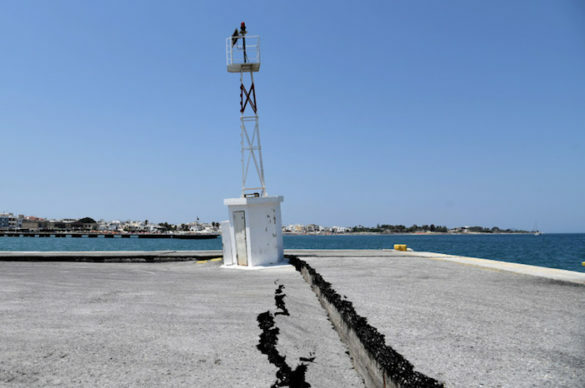 The main port of Kos was closed by government authorities citing numerous cracks on the dock’s concrete. 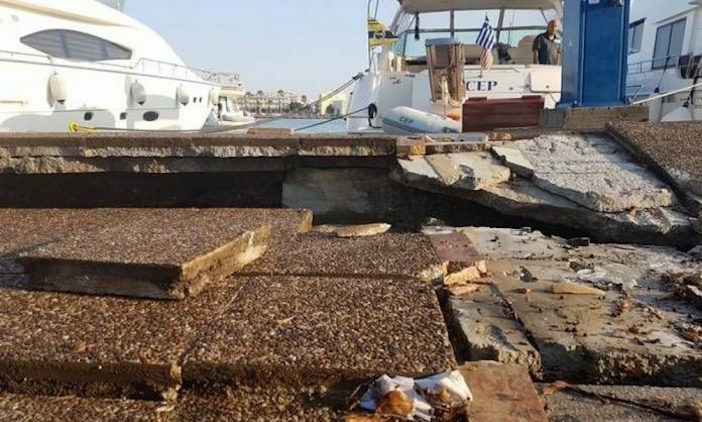 The government has been making alternative arrangements for ferry boats to dock at the island’s two other ports until repairs can be made. 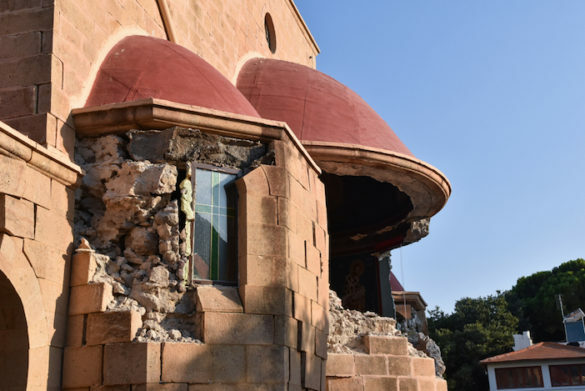 The altar side of the Metropolitan Cathedral of St. Nicholas collapsed completely, leaving the structure destroyed and unstable. 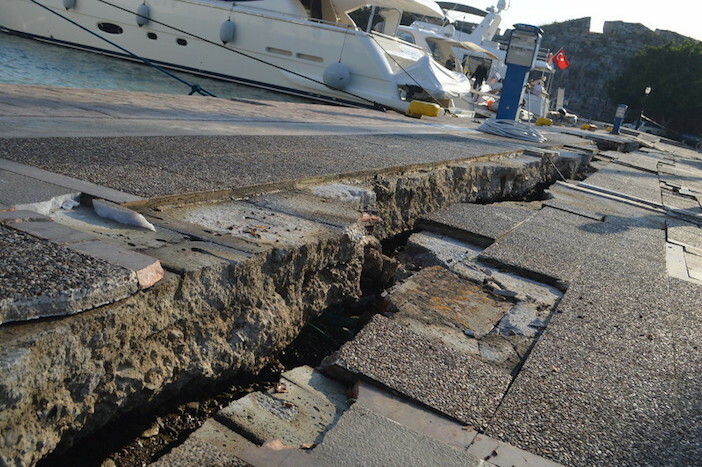 Many of the island’s important archaeological sites also suffered damage including. 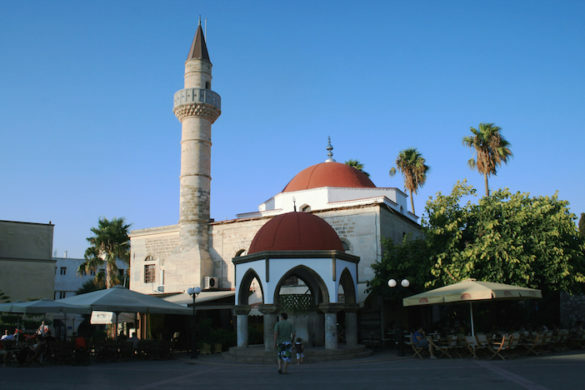 In the center of Kos’ old town, the once-imposing mosque, a remnant of the Ottoman era suffered extensive damage, including the toppling of its minaret that was once visible from most of the town’s neighborhoods. 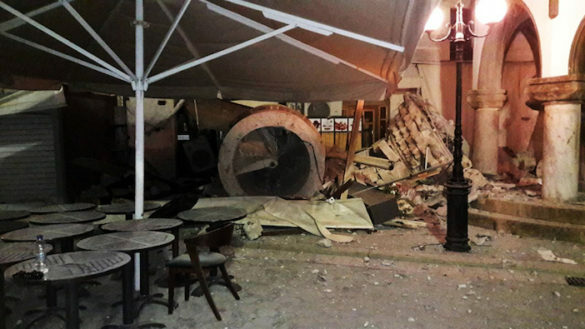 The Ottoman minaret was toppled by the quake. 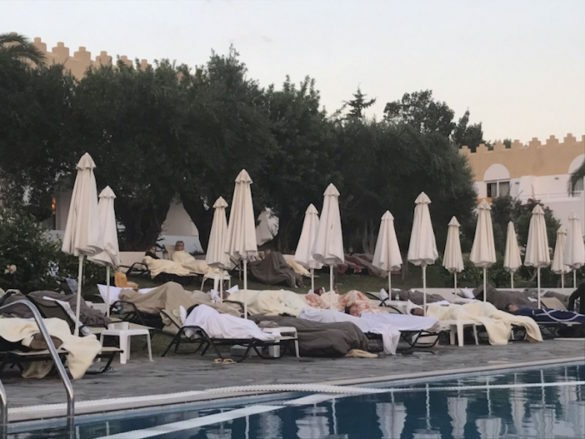 Tourists slept on sun beds the night of the quake as numerous aftershocks scared thousands out of their hotels.